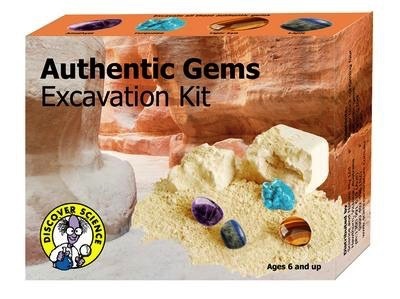 Kit includes 1 pce of each of four gems: Turquoise, Amethyst, Tiger Eye and Lapis in a gypsum block. With digging tool. brush.